Happy Thanksgiving from Napa Valley Dental! If you have dental anxiety there is hope for you. Depending on your level of anxiety, there are many tools you can use to combat the stress you may experience related to your dental anxiety. For patients with mild levels of dental anxiety you may try applying essential oils for calming. Lavender oil is known for its ability to soothe and calm. You may apply a couple drops to your hands and then inhale as they are cupped around your nose. You may also apply it on your feet, temples, and wrists. For patients with moderate levels of dental anxiety you can practice daily gratitude. The month of November is a great time to focus on practicing gratitude. Have you read about the neuroscience of giving thanks? Could this practice help you with your dental anxiety? You never know until you try! 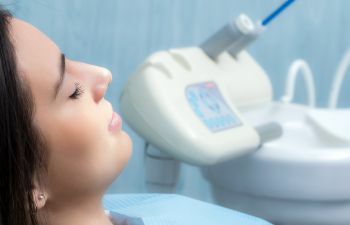 For patients with high to severe levels of dental anxiety, Dr. Bhullar offers several kinds of sedation options. Through consultation and evaluation, he will determine if IV Sedation, Nitrous Oxide, Oral Sedation, or General Anesthesia is right for you. At Napa Valley Dental, we don’t want anything to prevent our patients from getting the dental care they want or need. Book your next dental appointment with Dr. Bhullar today. We are Napa Valley’s expert sedation dentists to assist you in your dental needs.